It's easy to feel out of control when unfavorable feedback comes your way, especially if you think you're doing great work. You feel caught off-guard if the feedback is unexpected, or judged if your competence is doubted. No one wants to lose face. If there are unpleasant memories associated with your relationship and that person criticizes you, a flare-up of old feelings can occur. Negative criticism can feel very personal. But don't go there. Mindfully employing etiquette to help get through the immediate situation, while helping to remain in good standing with ourselves, is always a choice. What is the essential starting point when the internal sirens are blaring after having received a verbal criticism or critique? The first step in handling any type of feedback is hearing it. Even if it may be difficult to listen to, taking a pause to set aside emotions, open your mind, and hear the words being said will help you assess the critique for what it truly is. Your opening reply should be, "Thank you for thinking about this. I realize there is room for improvement." Then restate the feedback aloud to make sure you've heard the specifics correctly. As you review, note the positive things that were said. You may even start with these. This gives you a chance to ponder what you’ve heard and formulate a thoughtful response. It may be that the report is more accurate than you realized at the moment. Or, you may conclude your evaluator is incorrect in the assessment. Either way, giving yourself time will work to your advantage. When someone criticizes you or your work, especially your boss, that person will appreciate witnessing how you handle it. Your best option is to use the opportunity to learn something new about yourself. Do your best to save the self-doubt, panic, and fear for later. Now that you've had the chance to hear, breathe, and receive the negative criticism, you can set out to process it. If you know for sure that the information you received was incorrect or delivered with malicious intent, you have some decisions to make. Should you go on the defense, or is it worth it? Can you prove the feedback was incorrect? A good plan is necessary for moving forward on this. However, if the critique is an accurate one, do your best to use it wisely. Constructive criticism are observations, so always start with the point of view that they are well-intended. Stay objective. Acknowledge that you are open for new information. Accepting someone's observation and inviting help demonstrates your genuine desire to improve. Share and implement a plan to chart a different course. Offer to meet again to discuss the other person's perceptions and expectations. 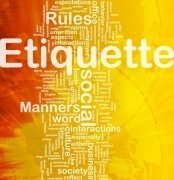 Whether you are at work, on a social excursion with friends, or having a dinner with family, when a criticism comes your way, it is possible to receive it and treat the person who gives it in a respectful and courteous way. The other person no doubt has a reason for offering a criticism, and if he is a co-worker or supervisor, may have a role to play. This doesn’t mean you necessarily agree with what is being said. Becoming proficient at using critiques as tools to help you improve is the goal. Whether you’re running a company or moderating a panel discussion, it’s always good to have feedback. It’s up to you how you put it to use. Feedback is sometimes hard to take because it’s not part of our everyday routine to welcome change. Receiving feedback is not a passive process. It is active! And when your process for receiving it is in line with respect, kindness, and wisdom, you grow in confidence and competence.